Shreyas sat on the ‘bench’ for a few months after being selected by a top information technology company in Bengaluru through a campus recruitment drive. Coming from a tier-1 college in the city, and even after undergoing an induction programme, he wasn’t given any project to work on. He felt the need to study more and acquire new skills, to keep up with the trends in hiring. He quit the job and moved to Germany to study more. Many of his classmates who couldn’t study further are still on the lookout for jobs. Sindhu, an electronics and communications engineering graduate, never wanted to get into coding. But unsuccessful in finding a good job in her own field, despite being the class topper, she ‘upskilled’ herself with a course on mobile app development. Soon, she was hired by a startup. These two examples tell us about a significant change in the hiring scene in Bengaluru. Entry-level jobs in IT are no longer easy to get – one needs to have extra skills not covered by college curricula, which are more often than not outdated. But if you have the skill sets sought, you are likely to be hired even if your education is irrelevant. The real problem currently is this: the formal college education system is not producing graduates with the kind of skill sets that the industry needs. That’s why, even when there are openings in the IT field, most IT graduates become unemployable. Bengaluru, known for its IT companies, is slowly losing its sheen. 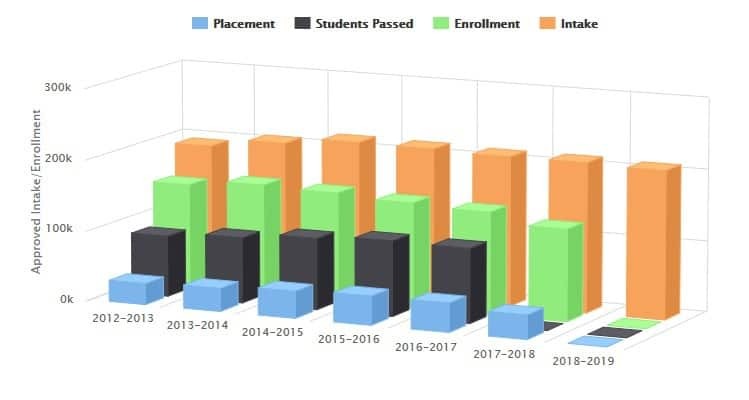 Data from the dashboard created by All India Council for Technical Education (AICTE) for Karnataka shows that course intake and placements have gone down for MCA graduates and engineering graduates. The skill sets required are rapidly changing. Anish Singh, Co-founder of Tempbridge Networks Pvt Ltd, cites the example of recent hiring by a government department, for data entry operators. The starting salary was Rs 30,000 per month as per the Minimum Wages Act. 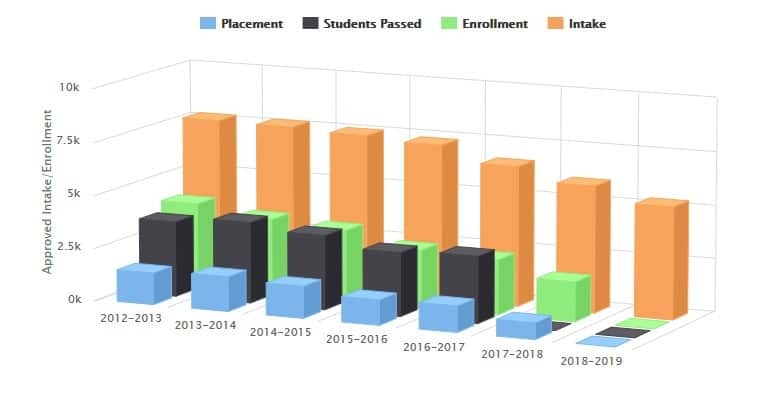 The employers were surprised to see that about 70% to 75% of applications were from fresh engineering graduates from tier 2 and tier 3 colleges! “We can’t hire them because they are overqualified for the job. But the sad story is that they don’t have any jobs – they are not qualified for any of these entry level jobs which exist nowadays,” he says. A recent LinkedIn report on top 10 emerging jobs in India shows that the hiring scenario is fast-changing. The tech roles in demand now are: Machine Learning Engineer, Application Development Analyst, Back End Developer, Full Stack Engineer, Data Scientist, Big Data Developer and Python Developer. Major skills related to these jobs are yet to make it to the syllabus of most colleges. Those that have them are unable to offer enough hands-on training. 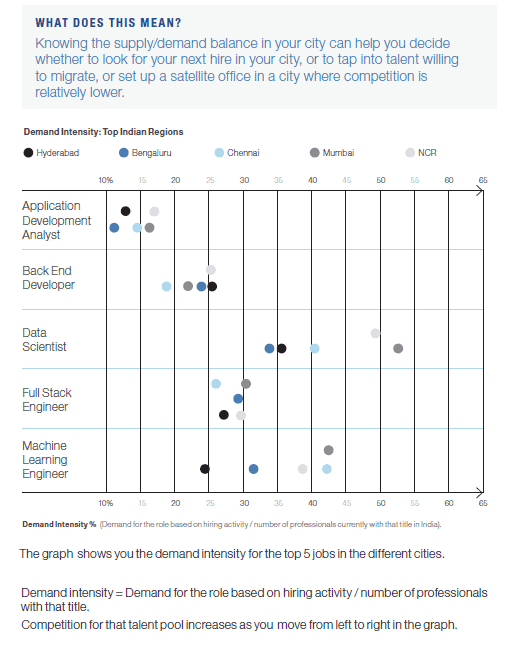 The report also shows that Bengaluru is no longer a dream destination for IT openings, with Delhi-National Capital Region, Mumbai, Hyderabad and Chennai having more openings than Bengaluru in some of the emerging sectors, and Bengaluru topping none of these sectors. A report by Ernst & Young and Nasscom, ‘Future of Jobs in India – A 2022 Perspective’ predicts that by 2022, most of the technology jobs in every field, including banking, insurance, retail, apparel etc, will be in the field of Big Data and cloud, Social and mobile technologies, Robotics/Automation, Internet of Things and Machine Learning/Artificial Intelligence. India has been an early adopter of big data and other new trends in IT but as things stand, most entry level freshers lack the skill sets to get into these fields directly. What do the hiring scene and numbers look like? 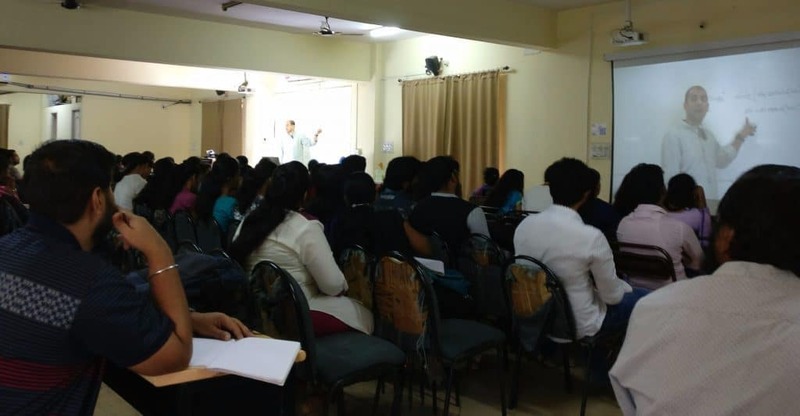 According to Sudev Das, co-founder of Vyre.co, a Bengaluru-based talent discovery platform, the creamy layer of IT graduates studying in tier 1 colleges gets hired promptly, by the largest companies or larger start ups. But the bulk of hiring happens in tier 2, 3 and 4 colleges where students have a good attitude but not necessarily engineering knowledge or experience. He says more companies focus on attitude, basic knowledge and zeal to learn, while hiring IT graduates. They are trained later to fit the company’s requirements. Most of the larger organisations have their own set ups in terms of training new appointees, with courses spanning two or three months. Vikram Shastry is the founder of Uttara Infosolutions, a software institute in Rajajinagar that offers hands-on upskilling courses for IT graduates. The company claims that it uses industry-recommended curriculum to train students on what the companies need: practical knowledge and more. Vikram Shastry agrees with the observation that students from tier-2, 3 and 4 colleges have problems. “They are cocooned in their own shells, and don’t recognise the seriousness of their lack of skills until they come out of college and start applying for posts. A lot of time is wasted while they are in college,” he says. The industry needs certain new technical skill sets which the students lack. “Expectation from industry these days is very high, compared to the days when I graduated,” says Vikram Shastry. The rote learning in colleges makes students unfit to be inducted into industry directly as they don’t have practical skills even though they might be smart. In some companies and MNCs, hiring is outsourced to third party staffing solution companies. The recruits are trained while in the third party contract, for three or four months. If they meet the set evaluation criteria then they are hired on the rolls, says Sudev. Subsequent training is used to impart new skill sets to the recruits. Five years ago a few IT corporates hired people en-masse, with numbers going up to 6,000, 10,000 or even 20,000 fresh graduates. This has definitely reduced significantly. “IT services as the business was the largest segment which used to absorb fresh college graduates. Not everyone is doing well among IT services now,” Sudev says, adding that because the investment in training freshers is more, hiring freshers also gets reduced. He feels the volume of hiring at the entry level has reduced by 60-65%, and predicts that the number of opportunities will keep going down. Automation is changing the way IT industry has been operating over the last few decades. Now, since a lot of mundane processes will be automated, the volume of hiring in IT sector is going to stay low, emphasises Sudev. Opportunities will open up in core sectors that use newer technologies, such as robotics, for execution and maintenance, but the volume will be limited, he adds. Sudev says the ability to reskill or upskill oneself is going to be the most important for today’s engineering graduates. “Whether the college does it or not, I think students need to stay abreast of the significant changes that are happening. 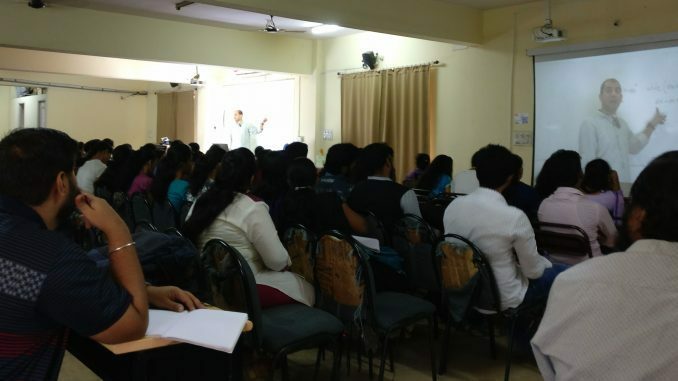 Reskilling or reorientation around a new skill is a significantly critical capability which the teaching community has to try to instill,” he says. Learning a new thing isn’t difficult at all in this era. “Today there are online courses, sometimes free courses. You can learn easily on your own, add that into your resume to actually uplift yourself,” says Vikram Shastry.